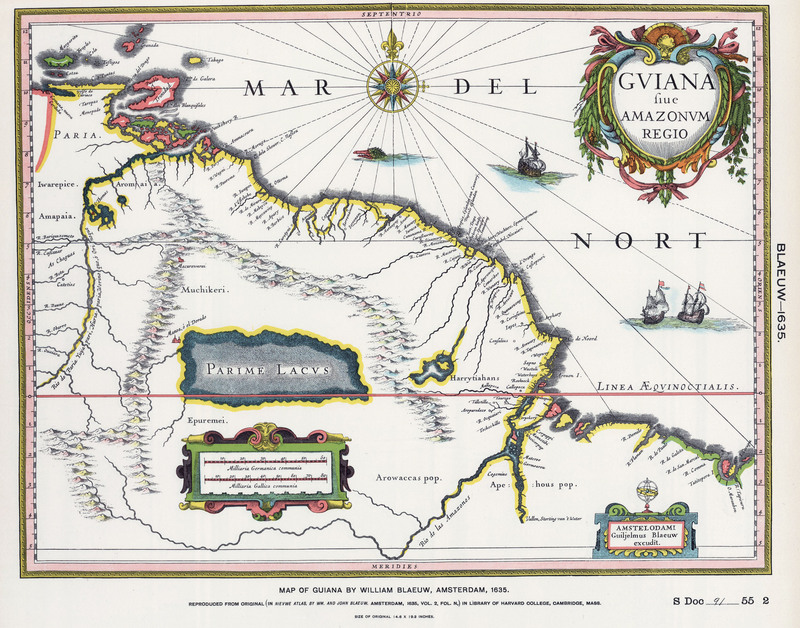 The Spanish were the first Europeans to have discovered the area and made nominal claims in an area that was disputed with the Portuguese for some time. 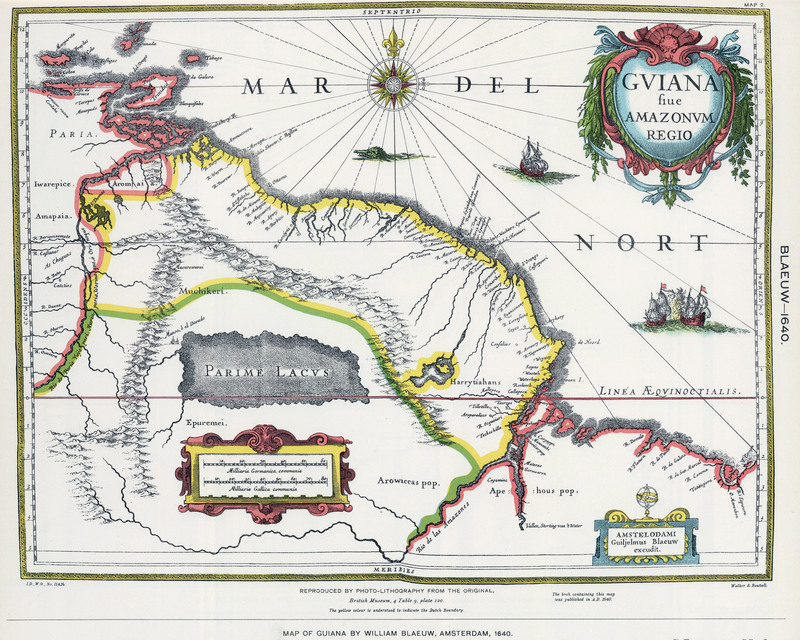 Sir Walter Raleigh did make an appearance for the British in 1595 as he sought claims of the mythical city of El Dorado somewhere within the Orinoco river system that is actually found in modern day Venezuela, although at this time the entire region was referred to as Guiana. His travels did inspire other explorers to search for the lost City of Gold and so attracted attention to the area for European adventurers and glory seekers. 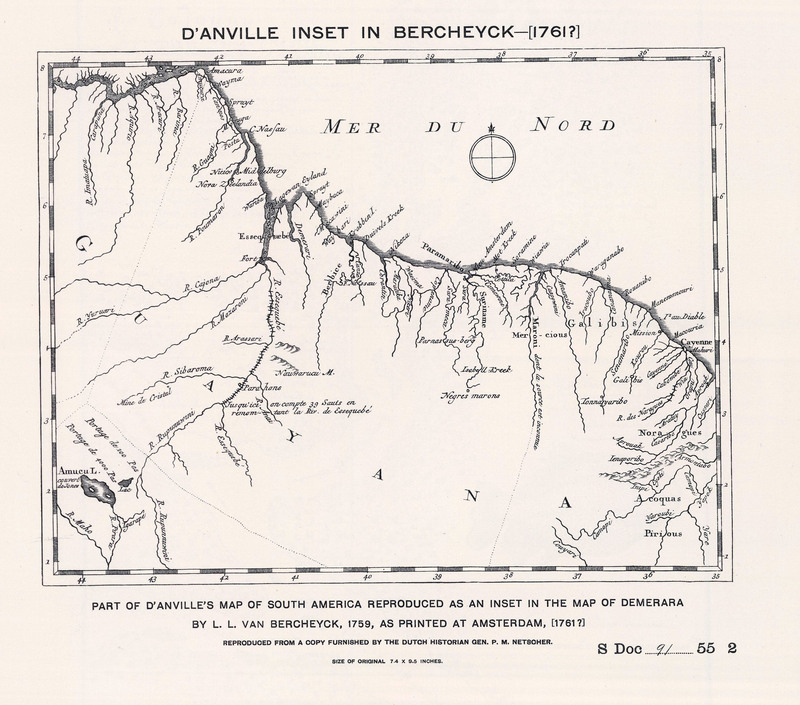 It was to be the Dutch who first made a practical presence with the creation of three colonies named Berbice, Demerara and Essequibo. 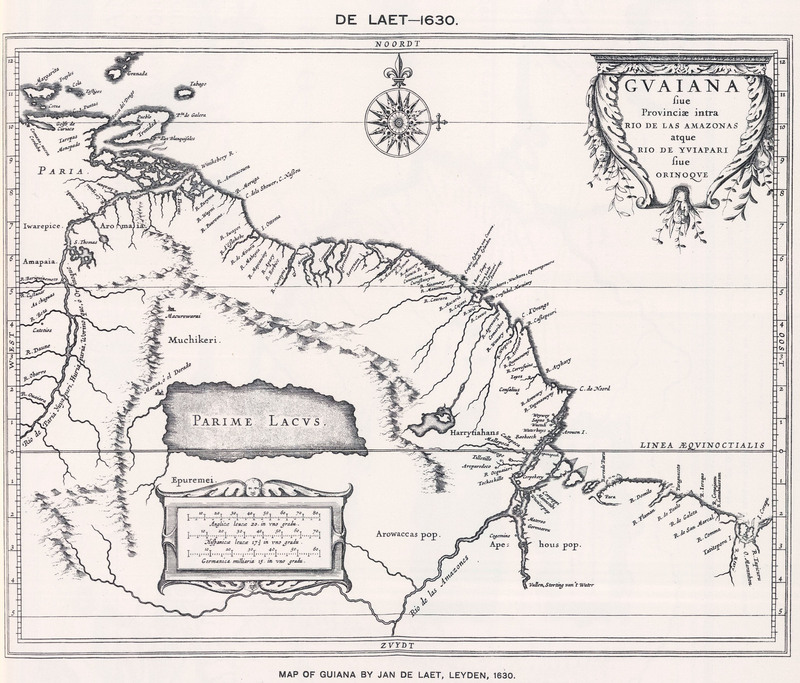 The Dutch created slave owning plantations that produced cotton, indigo, sugar and cacao. The first English contact was as a result of the Anglo-Dutch wars when the Dutch River colonies were occupied during the 1665 war. 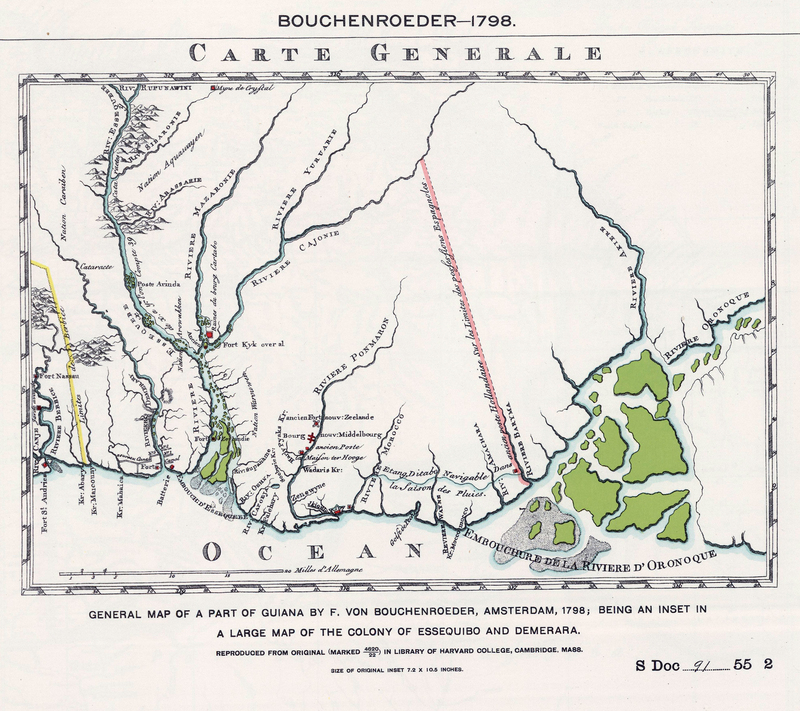 The weakened colonies were further attacked by French privateers and pirates, before being reclaimed by the Dutch. Relations improved between the Dutch and the English with the conclusion of their wars and William of Orange coming to the throne in England. By the Eighteenth Century, English colonists from Barbados and other islands were being welcomed to the colony to set up their own plantations. Relations between the two nations deteriorated once more during the American Revolution as the British were unhappy at the Dutch taking advantage of Britain's disrupted Trade patterns during the war. 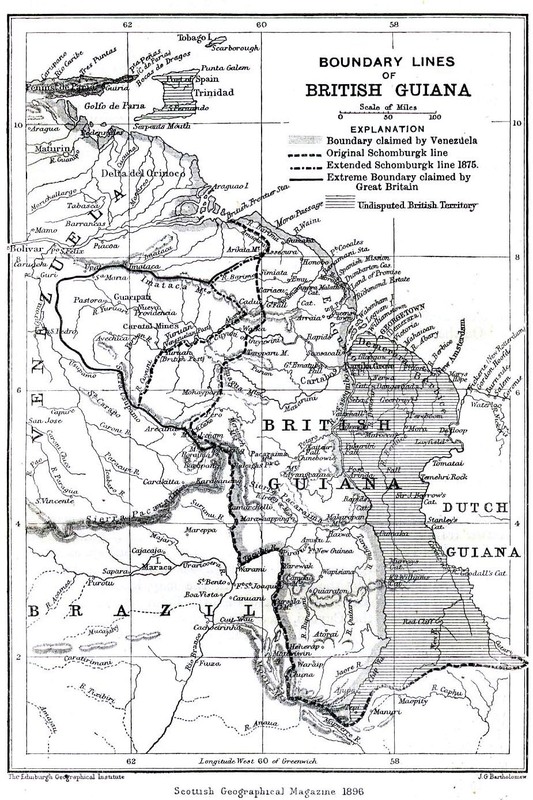 The British occupied the colonies for a while but were themselves displaced by the French. 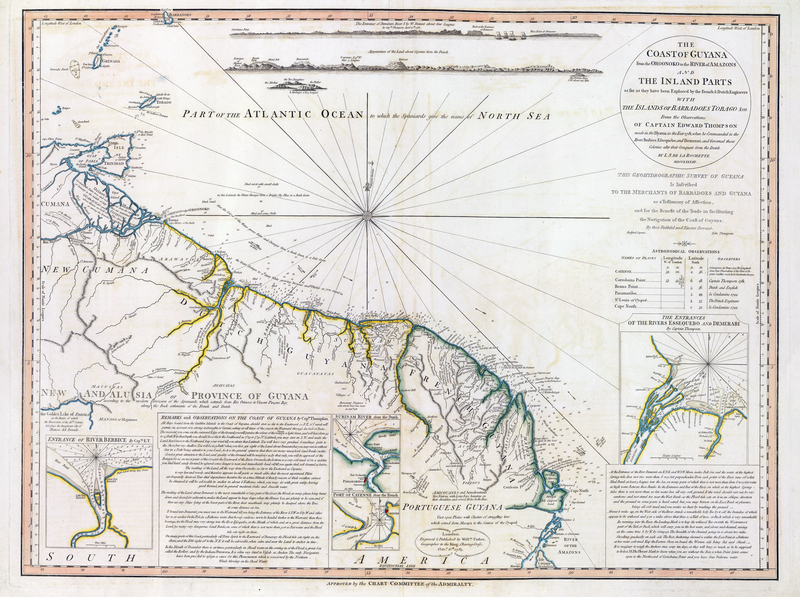 The Dutch were restored to the colonies at the conclusion of the Revolutionary War. It was to be the French occupation of Holland itself in the French Revolutionary and Napoleonic Wars that saw the colonies occupied by Britain on a more lasting basis. Holland was overrun in 1795. 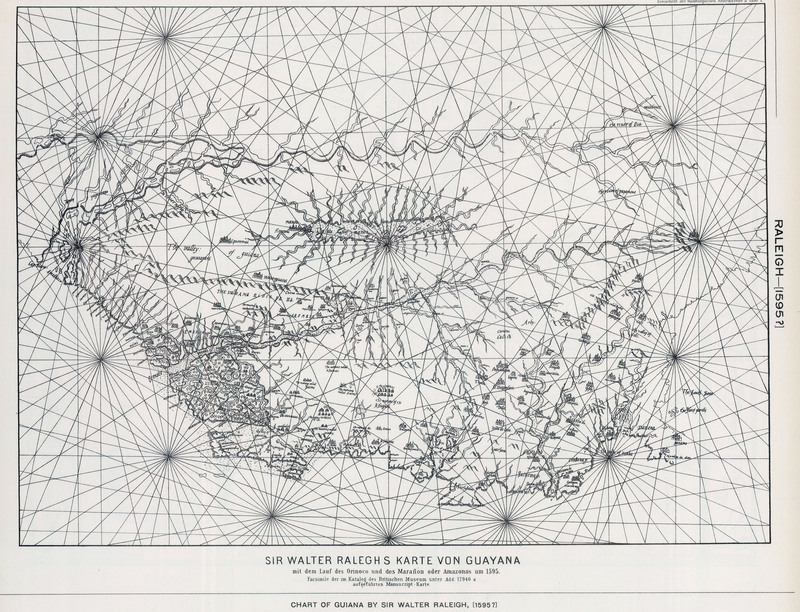 The following year, the British occupied the three Dutch colonies in an uncontested invasion from Barbados. They were returned for a brief while during the 1802 to 1803 Peace of Amiens but were then reoccupied by the British once again when the Napoleonic Wars reignited. 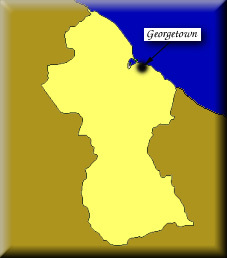 The British renamed the principle city as Georgetown in 1812 and formally accepted possession of the three colonies in 1814 as part of the Treaty of London. 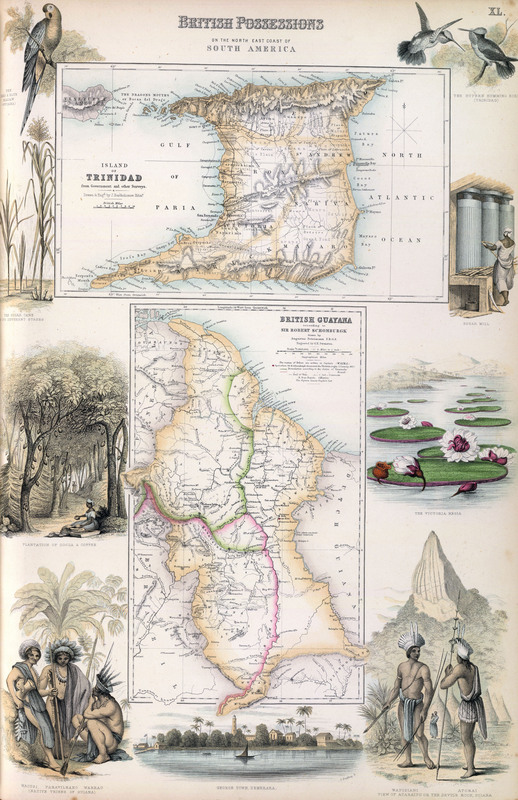 In 1831, the three separate colonies were united into the single political entity British Guiana. 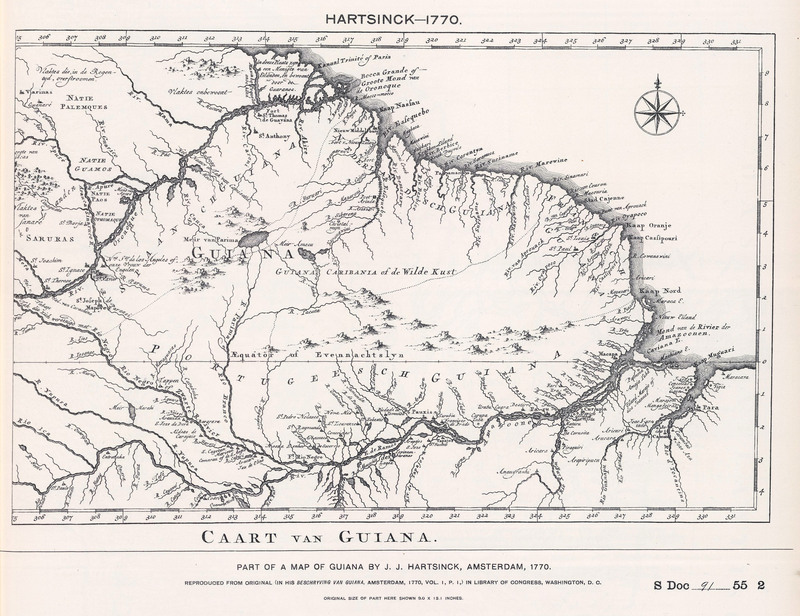 In 1835 the British government asked the German explorer Robert Hermann Schomburgk to map British Guiana and mark its boundaries. 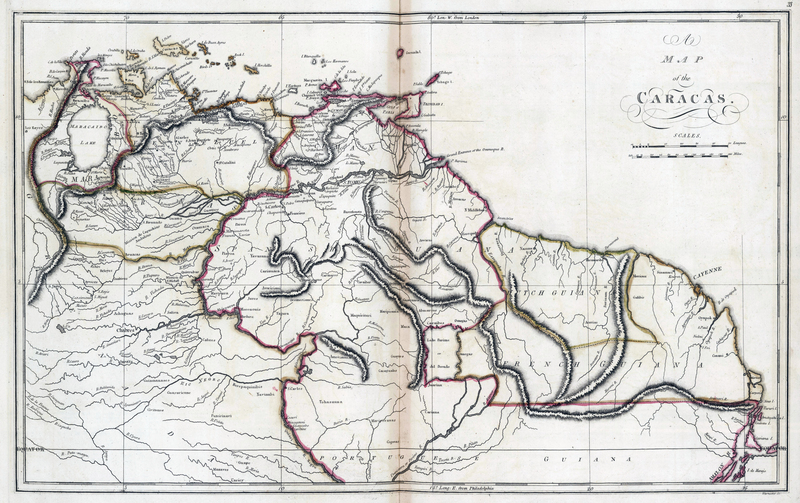 As ordered by the British authorities, Schomburgk began British Guiana's western boundary with Venezuela at the mouth of the Orinoco River. 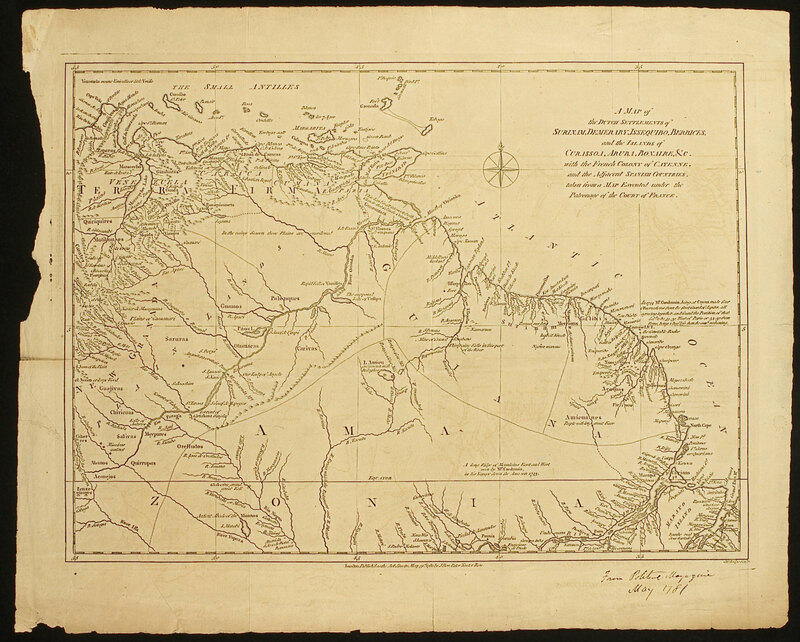 A map of the British colony was published in 1840. 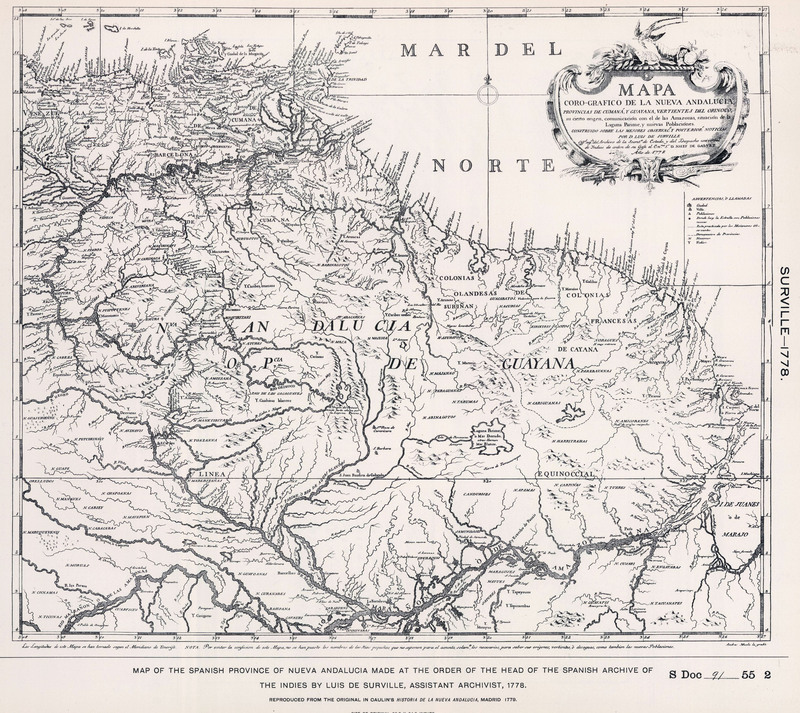 Venezuela protested, claiming the entire area west of the Essequibo River. 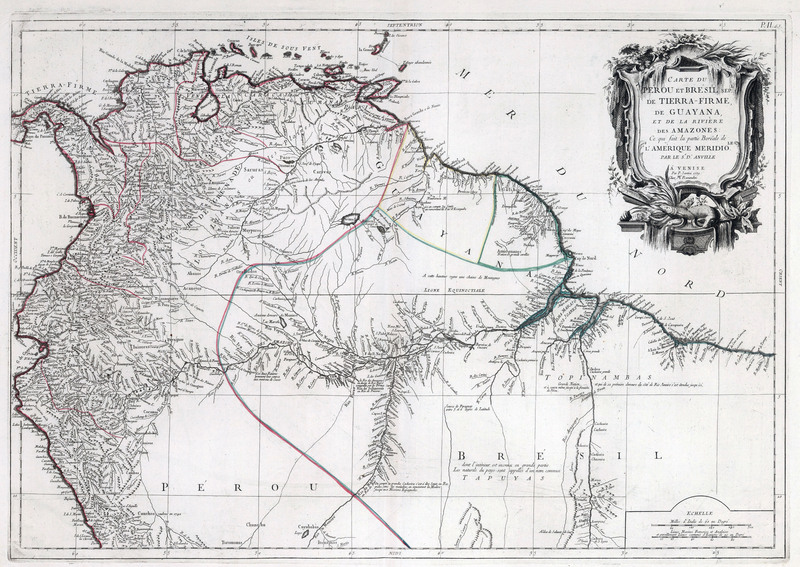 Negotiations between Britain and Venezuela over the boundary began, but the two nations could reach no compromise. 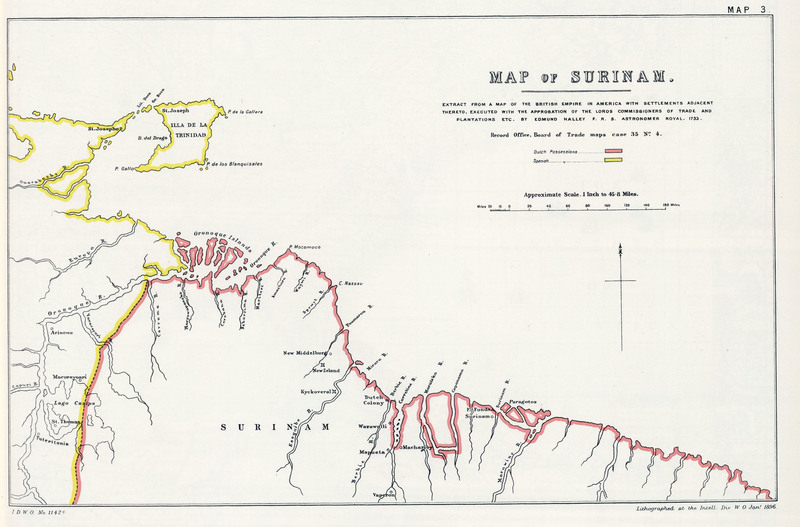 In 1850 both agreed not to occupy the disputed zone. 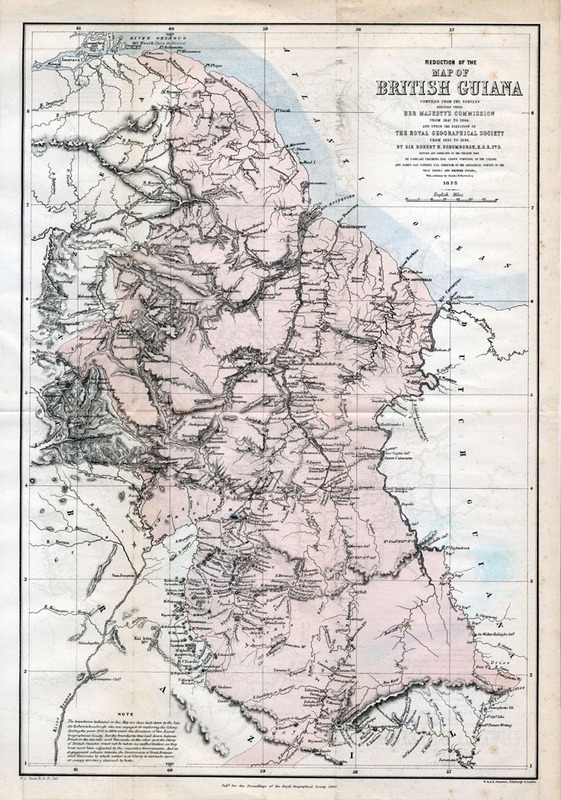 The discovery of gold in the contested area in the late 1850s reignited the dispute. 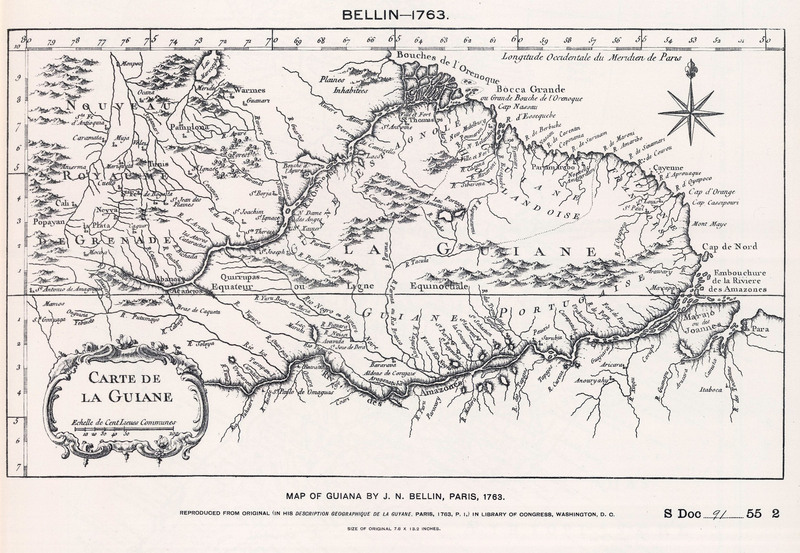 British settlers moved into the region and the British Guiana Mining Company was formed to mine the deposits. Over the years, Venezuela made repeated protests and proposed arbitration, but the British government was uninterested. 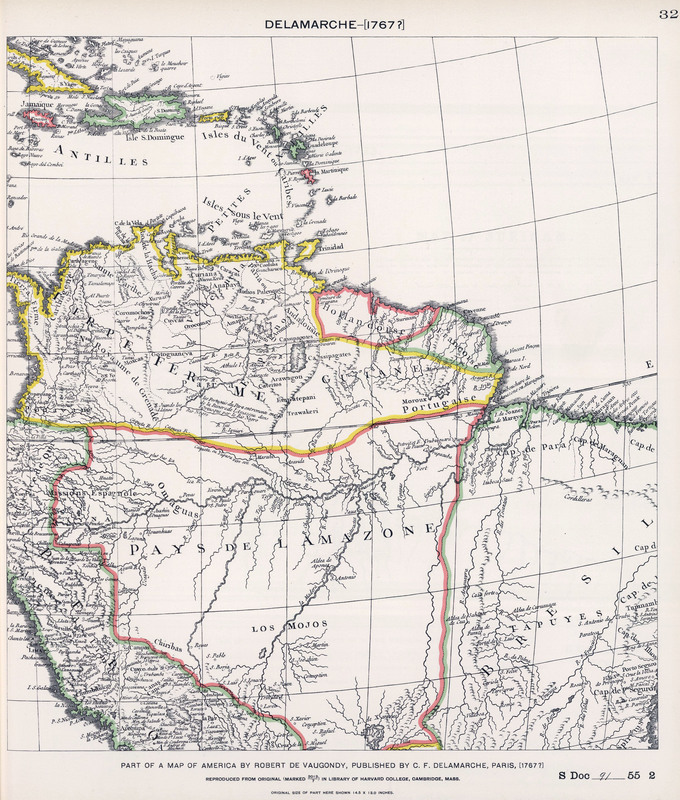 Venezuela finally broke diplomatic relations with Britain in 1887 and appealed to the United States for help. The British at first refused the United States government's suggestion of arbitration, but when President Grover Cleveland threatened to intervene according to the Monroe Doctrine, Britain agreed to let an international tribunal arbitrate the boundary in 1897. For two years, the tribunal consisting of two Britons, two Americans, and a Russian studied the case. 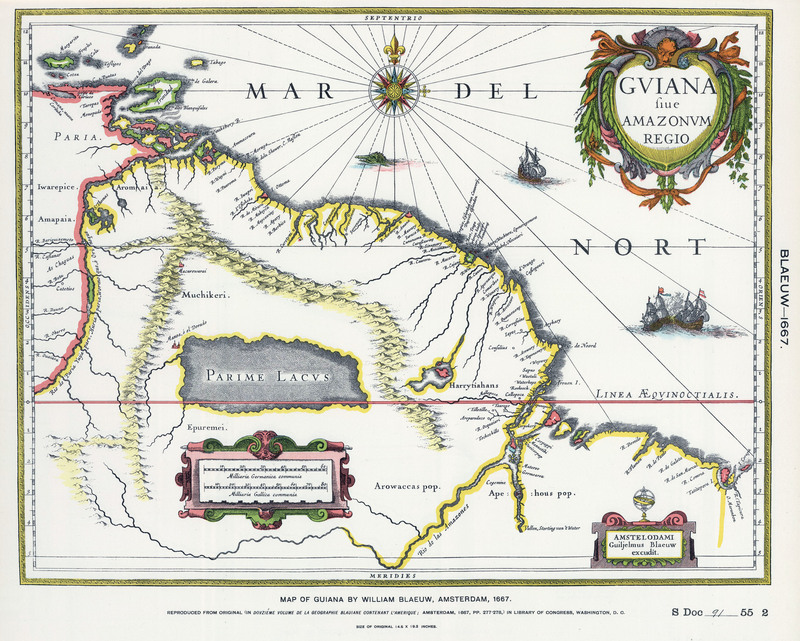 Their three-to-two decision, handed down in 1899, awarded 94 percent of the disputed territory to British Guiana. 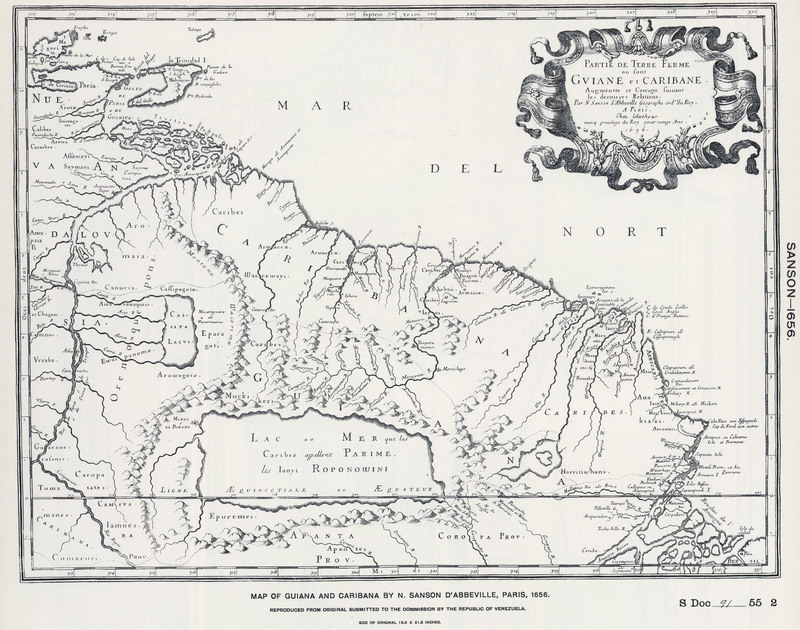 Venezuela received only the mouth of the Orinoco River and a short stretch of the Atlantic coastline just to the east. 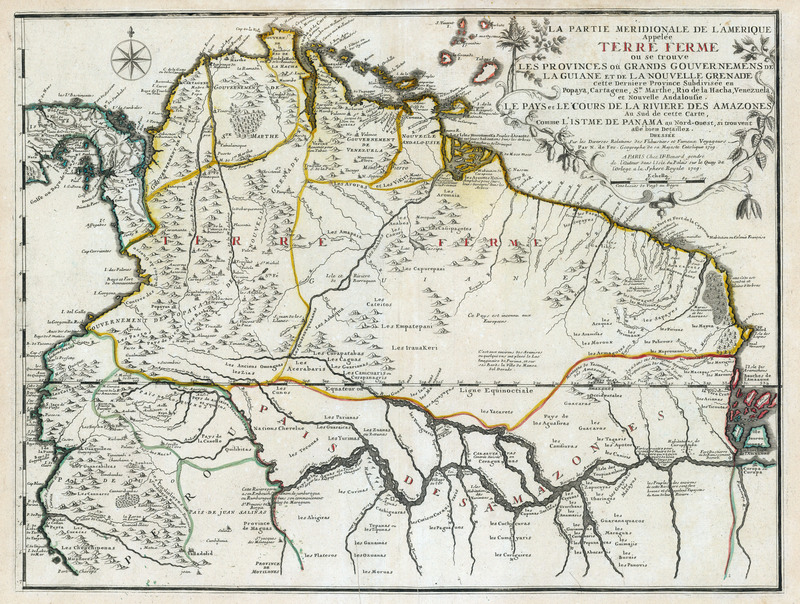 Venezuela was unhappy with the decision, and the area is still disputed even now. 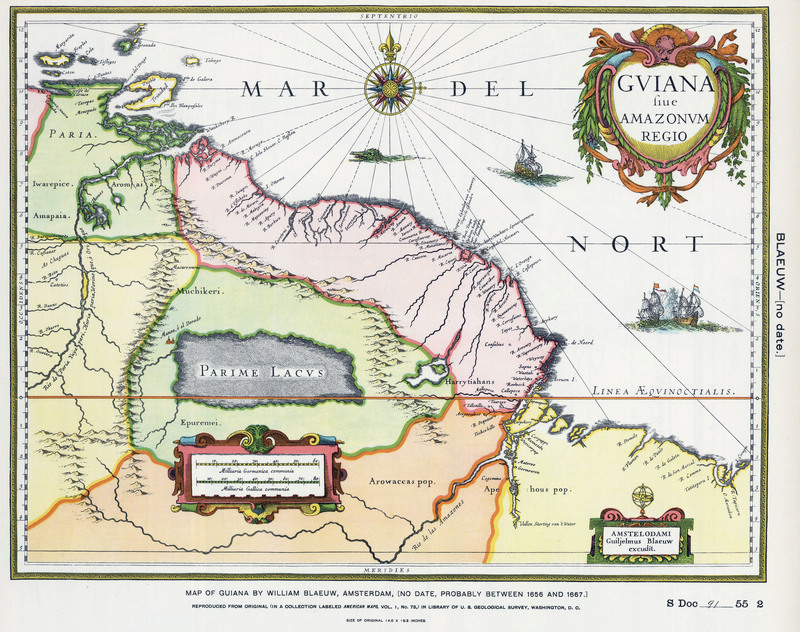 The colony became independent as Guyana in 1966. 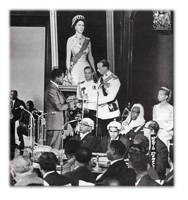 The BBC's Tales from the Commonwealth explores the legacy of the Empire for Guyana.